Johnny Depp will release a second album with his band Hollywood Vampires. LGBT campaigners have signed an open letter to Irish singer Sarah McTernan urging her to boycott this year’s Eurovision Song Contest in Israel. Engelbert Humperdinck has paid tribute to his “dear friend” following the death of songwriter Les Reed. Previously unreleased footage of a surprise concert performed by U2 on Dublin's Sheriff Street in 1982 is finally being shared with the public. Dua Lipa has said meeting children uprooted by the conflict in Syria and learning of the difficulties refugees face was personal for her as her own parents once fled a war-torn region. Ed Sheeran is to play an intimate one-off show in aid of West End education charity the Theatre Royal Haymarket Masterclass Trust. American singer Beck is releasing a new single produced by Pharrell Williams. 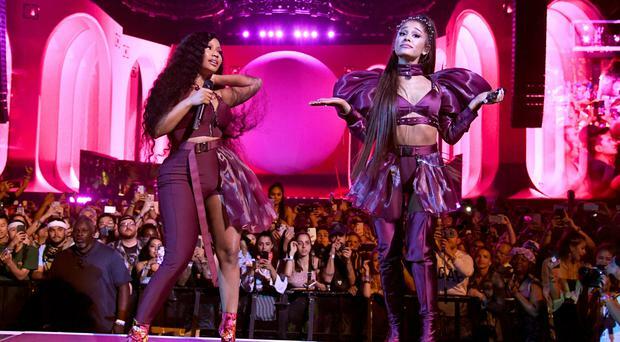 The first weekend of Coachella was an eventful one, not least due to the calbre of the line-up which saw Childish Gambino, Tame Impala and Ariana Grande headlining across the three nights. Paloma Faith has claimed parents should let their children wear what they want – even if that means allowing their son to wear a dress. Ever wondered what happened to the first person crowned winner of RTE's The Voice Of Ireland? I love bread. The thought that I'm going to have a nice piece of toast actually wakes me up. I get up at 6.45am. Meghan Markle once said Sophie Ellis-Bextor's Murder On The Dancefloor was her favourite song. Upon hearing of the Duchess of Sussex's comment, the creator of the aforementioned 2001 neo-disco smash recalled another fan. 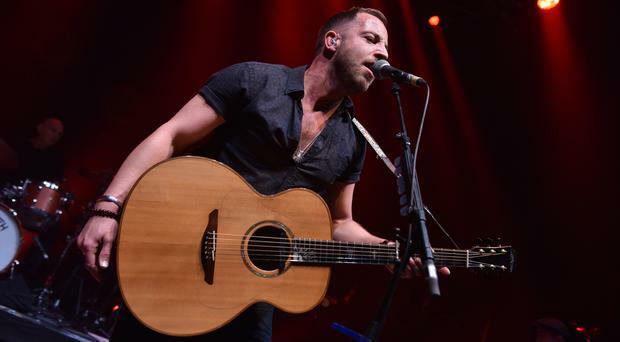 Over a decade ago, before George Ezra, Lewis Capaldi, Ed Sheeran and an army of other earnest young men equipped with guitars began battling their way to the top of the charts, James Morrison forged a similar chart-topping path with a series of slickly produced hits from the internationally acclaimed Broken Strings to You Give Me Something and Wonderful World. The Prodigy paid tribute to their "greatest loyal friend", their minder Con, who has died. 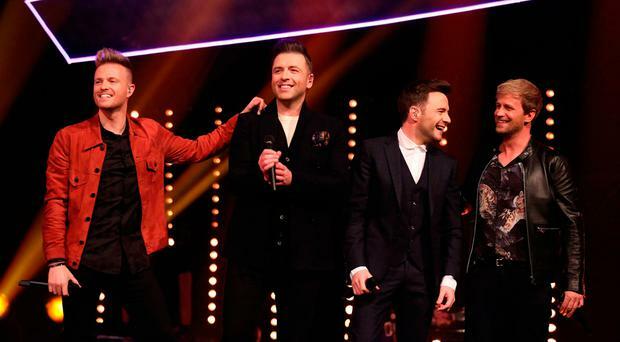 Westlife have confirmed that their new album will hit the shelves in September. Rapper Childish Gambino brought day one of Coachella to a close after thousands of fans had descended on the California desert for the annual music festival. Although it may not have seemed remarkable at the time, the 1970s was an era of prodigious output for the world's most significant acts. Releasing an album every year was common. Some brought out two albums per annum in rare purple patches. And a handful, Elton John included, saw fit to release three albums over the course of 12 months during especially hyper-productive periods. Easter was early in 1742, and April 13 fell on a Tuesday. The connection is the Messiah, which had its premiere then in Dublin. A shooting killed one person and wounded three others near the funeral procession route for killed rapper Nipsey Hussle in Los Angeles. Kim Wilde has spoken of her joy at having “bookended” her career with a sell-out tour and successful album. Sir Mick Jagger has shared an image of himself out and about after undergoing heart surgery. Louis Tomlinson has said he might not return to The X Factor if it gets in the way of his solo career. Drake is to co-host his first show on BBC Radio 1 and 1Xtra. Muse frontman Matt Bellamy used the news of the first photo of a black hole to make reference to one of the band’s most famous songs. A Taylor Swift fan said she was brought to tears by a handwritten note from the singer after she was involved in a car crash. Is there nothing David Hasselhoff cannot do? AS hit TV show Derry Girls came to an end yesterday, fans have been left wondering how to fill the hole in their lives without Erin and the "four eejits" to keep them entertained. 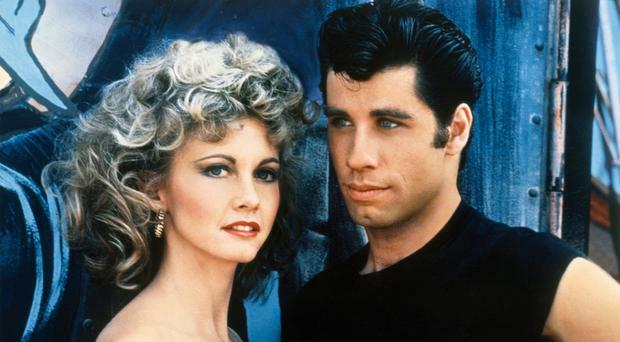 A prequel to revered musical Grease is reportedly in the works. Virtual reality technology, holograms and immersive theatre will plunge members of the public into Jeff Wayne’s The War Of The Worlds when a new production opens in London next month. The Hungarian State Opera has asked the nearly all-white cast for its production of Porgy And Bess to self-identify as African American. Gloria Estefan has spoken about the emotional experience of watching her life story being performed in front of her eyes in a new West End show. Gloria Estefan has said she is looking forward to tucking into bread sauce and steak and kidney pie when the musical about her life arrives in the West End. 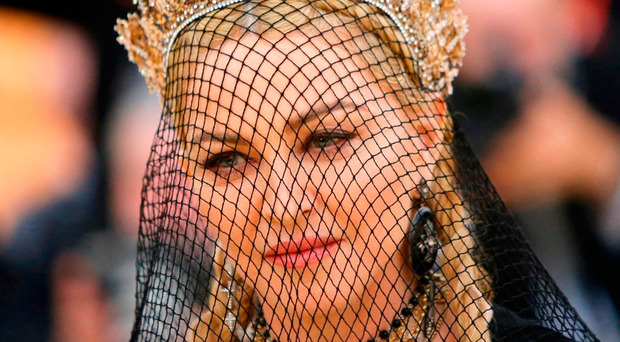 Madonna is set to perform at the Eurovision Song Contest in Israel amid calls to boycott the event. Rapper Nipsey Hussle will be mourned at a public memorial at the Staples Centre in Los Angeles. Olly Murs has revealed he is in talks to return for a third season of The Voice UK. Taylor Swift has made another intervention in local politics and donated money to an LGBT advocacy group in her adopted state of Tennessee. Madonna will make a guest appearance at the Eurovision Song Contest in Israel next month, her representatives said on Monday. Justin Bieber calls his wife Hailey Baldwin “God’s greatest creation” in a romantic poem he has shared online. Poet and activist Maya Angelou intones over footage from Beyonce’s acclaimed Coachella performance in the first trailer for the US artist’s Netflix film. Stevie Wonder is Dublin bound for a date at the 3Arena, his first Irish date in nine years. Olly Murs has explained his decision to strip off for a photo in his big red chair after his contestant, Molly Hocking, won the UK series of The Voice. Actress Chrissy Metz has made her live television singing debut by performing with country star Carrie Underwood. Laura Whitmore is lost in a snack-filled dream world. "Oh, I have a Tayto sandwich on special occasions," she swoons. "But not every day," she says, adding that: "I get my mum to send me over tea bags. There is a little shop at the end of my road with an Irish section. They have little things like your bags of crisps and tea bags etc." Laura then names the five things she misses about Ireland. "My mam's cooking," she says of her beloved Carmel's cuisine. Keith Richards and Mick Jagger's falling out, once upon a time, wasn't so much a marriage break-up. It was more a civil war between two of the biggest ego maniacs in the music industry. 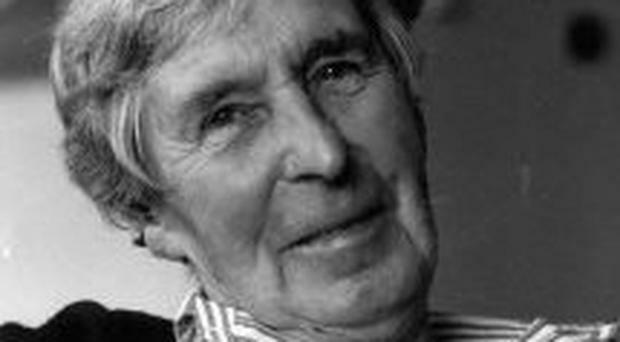 He was one of the 20th Century's greatest composers, a staunch pacifist who wrote the anti-war masterpiece A Child of Our Time and was imprisoned for 61 nights as a conscientious objector to World War II. Bill Isles, an original member of the chart-topping R&B group The O’Jays, has died at the age of 78. Michael Ball has told how he grappled with nerves and panic attacks early in his career. Abba’s two leading men made a surprise appearance as hit musical Mamma Mia! celebrated its 20th anniversary. Gabrielle said she has reignited her passion for music after previously putting parenthood before touring. Bosnia’s capital has declared Iron Maiden lead singer Bruce Dickinson an honorary citizen for the concert he performed while the city was under siege during the 1992-95 war. Rapper J Hus made a surprise appearance when Drake introduced him on stage four months after being jailed for carrying a knife. 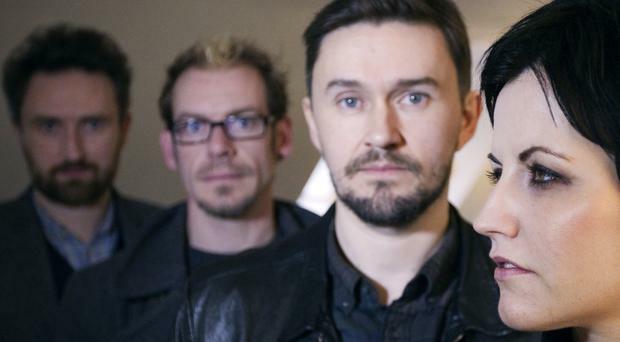 The Cranberries have said they'll never "do the Queen thing" and try to replace the late Dolores O'Riordan. 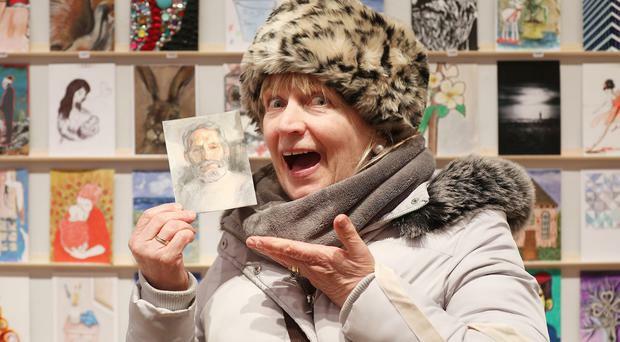 More than 1,000 artists - including Bono and Paul Costelloe - have dug out their paintbrushes out for the Jack and Jill Foundation. When that great entertainer André Previn passed away just over five weeks ago at the age of 89, he left a legacy that extended right across the spectrum of music.